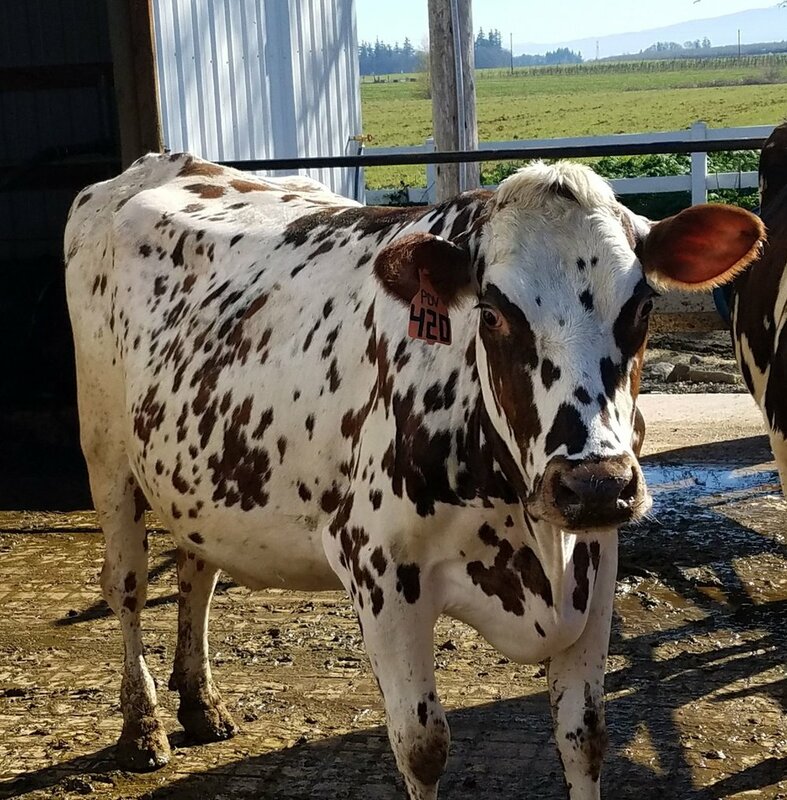 Briar Rose Creamery is incredibly fortunate to work with the Perrin family who have Oregon's only herd of certified organic Ayrshire cows. 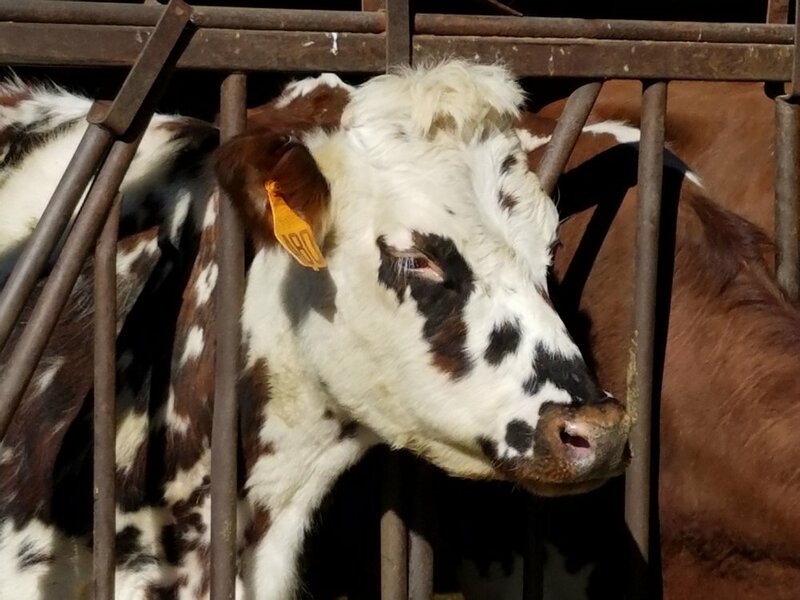 Every cow breed has unique properties to their milk. Some breeds like Holsteins are great for fluid milk. They produce a lot of milk but for cheesemaking, Holstein milk doesn't have high solids - the stuff within milk that cheesemakers capture in order to make cheese. Ayrshires are different. Ayrshire milk is know as "the cheesemaker's milk." This rare, heritage breed of cows make milk that is naturally partially homogenized, meaning the cream doesn't float to the top of the milk. This trait as well as smaller fat particles in the milk makes the cheesemaker's job easier when working with the milk. The milk and cream stay mixed together and the resulting cheese is off to a great start. Ayrshire are also very efficient grazers so they're more gentle on the land and thrive as grass-based dairy herds. The Perrin family make sure their cows spend as much time in the pasture as possible, grazing on green grass up to nine months a year if the weather permits. This special milk helps cheese go the distance when wheels are aged for several months. As the cheese matures, fat and proteins break down, giving every type of cheese unique flavors. Some extra-aged cheeses can taste like butterscotch or pineapple! 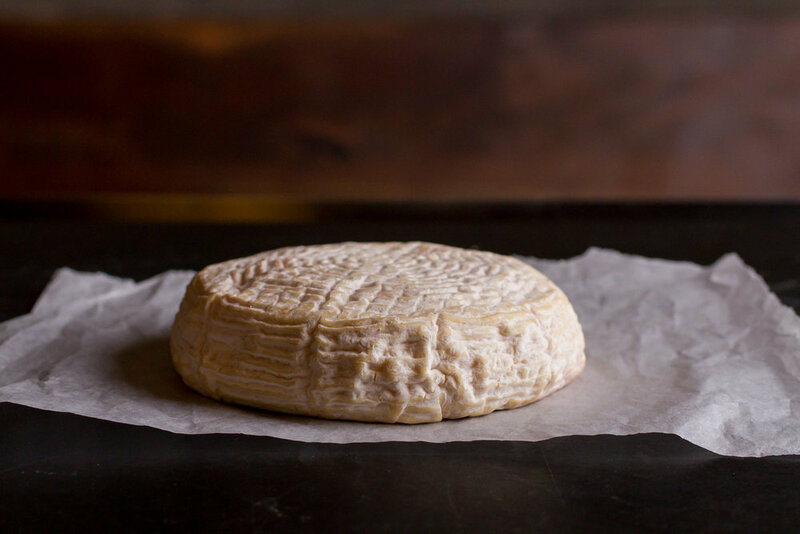 Ayrshire cow's milk ages beautifully, giving mature cheeses lots of savory notes that linger on the tongue. The small fat particles give way to rich, deep aromas and flavors as well as help prevent any bitterness that might crop up in the flavor profile. Ayrshire milk is the not-so-secret ingredient that makes Briar Rose Creamery's cheeses shine brightly. Perrin Family Farm at dawn. Ayrshire cow outside the barn at Perrin Family Farm. Older PostWinter Hours! Contact us for an appointment. December - March.